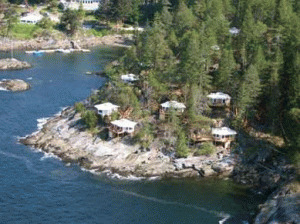 The best kept secret among Sunshine Coast Accommodations is Rockwater Secret Cove Resort. What was once the Lord Jim's Resort Hotel, this magical oasis has been transformed into a private paradise for distinguished guests. The best Sunshine Coast accommodations are those that enhance our relationship with nature. At Rockwater Secret Cove Resort, you will discover that our footprint is as small as our love of nature is large. 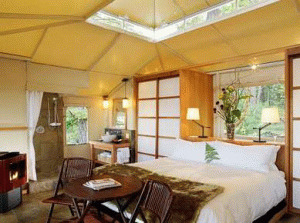 Travel along an elaborate treetop boardwalk to our private Tenthouse Suites, nestled between the majesty of the Rain Forest and the Pacific Ocean. Or stay in a cozy Ocean Edge Cabins or our newly renovated Pool Side Room. Whatever you desire our presence is humble. In our unique Sunshine Coast Accommodations, you may find what you have always searched for; the cove has a history of secrets. It is said that in the deepest silences, we hear the most. Great truths, great loves, great mysteries are revealed. Perhaps the secret awaits you here. If you are searching for the ideal Sunshine Coast accommodations - or a truly inspiring vacation getaway - we believe what you seek lies in Secret Cove. Here you will find a resort experience that few have discovered. You will wake to a beauty that most have only dreamed of. You will experience magic that you thought no longer existed. And you will find a peace that feels truly eternal. Please visit Rockwater Secret Cove Resort Website.